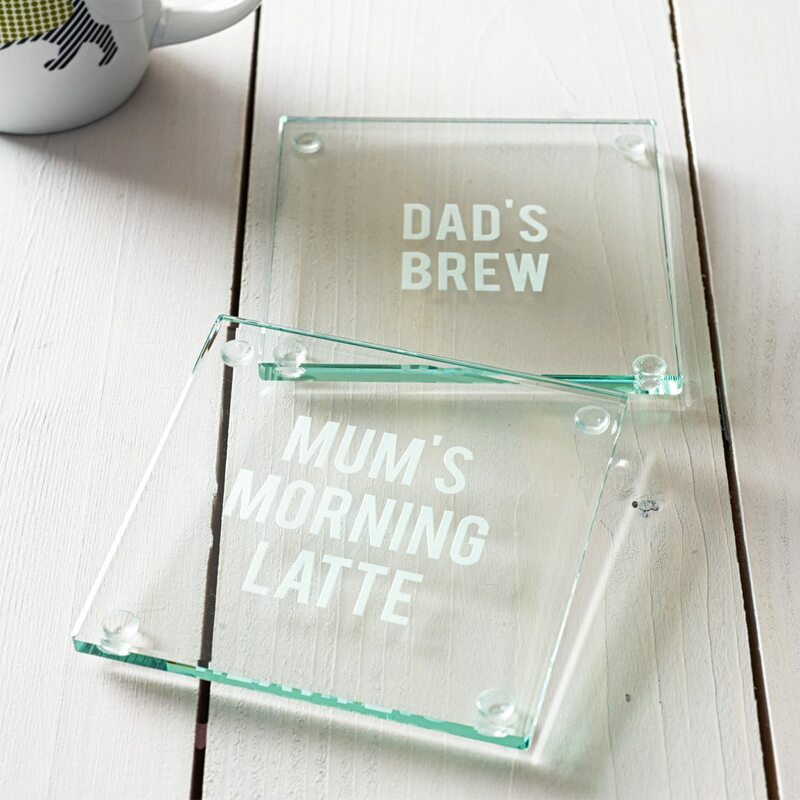 A hand etched coaster for those of us who always fancy another brew, or another glass of wine! 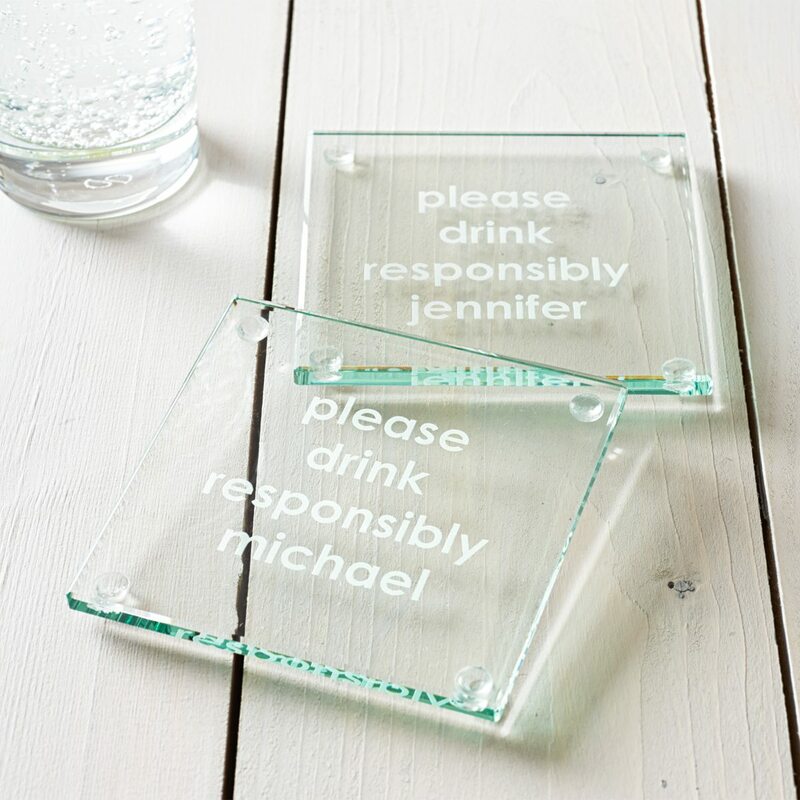 This playful coaster will remind you to be sensible when enjoying a drink or two! 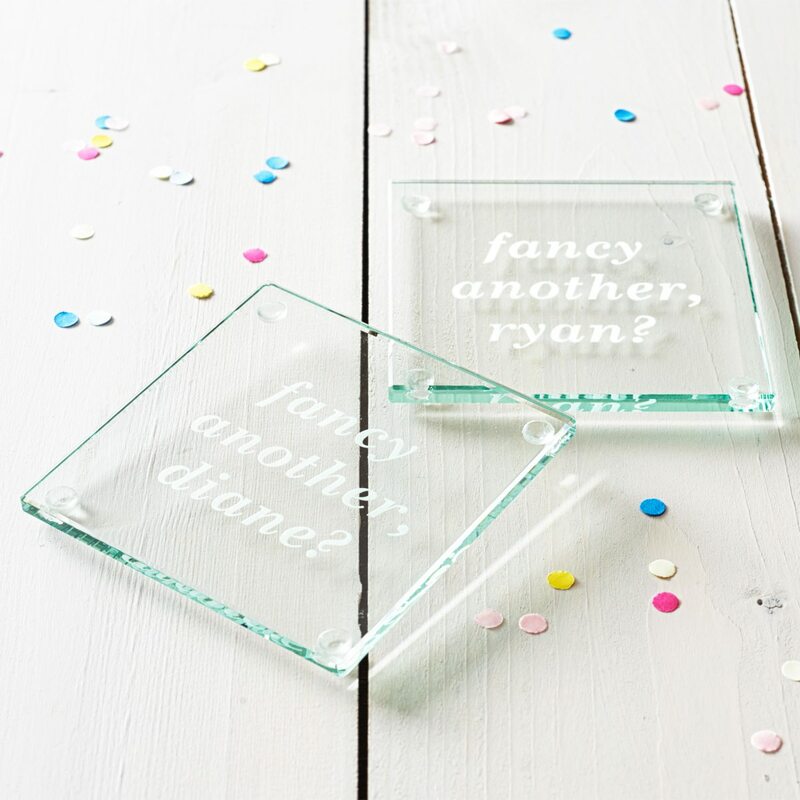 Create a completely personalised drinks coaster for yourself or your loved one. 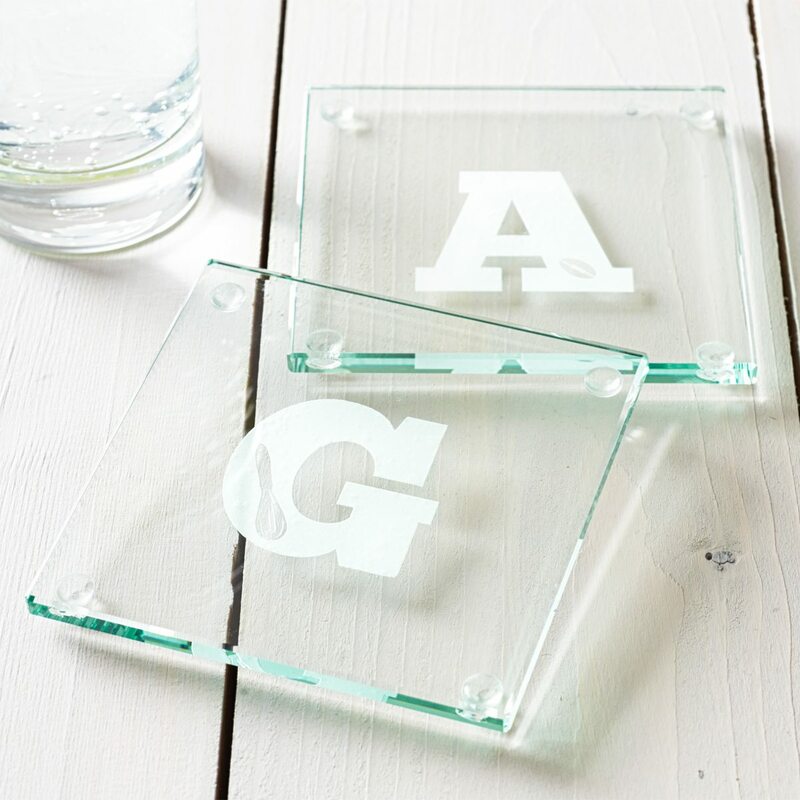 Add your personalised, hobby inspired monogram to this glass coaster. 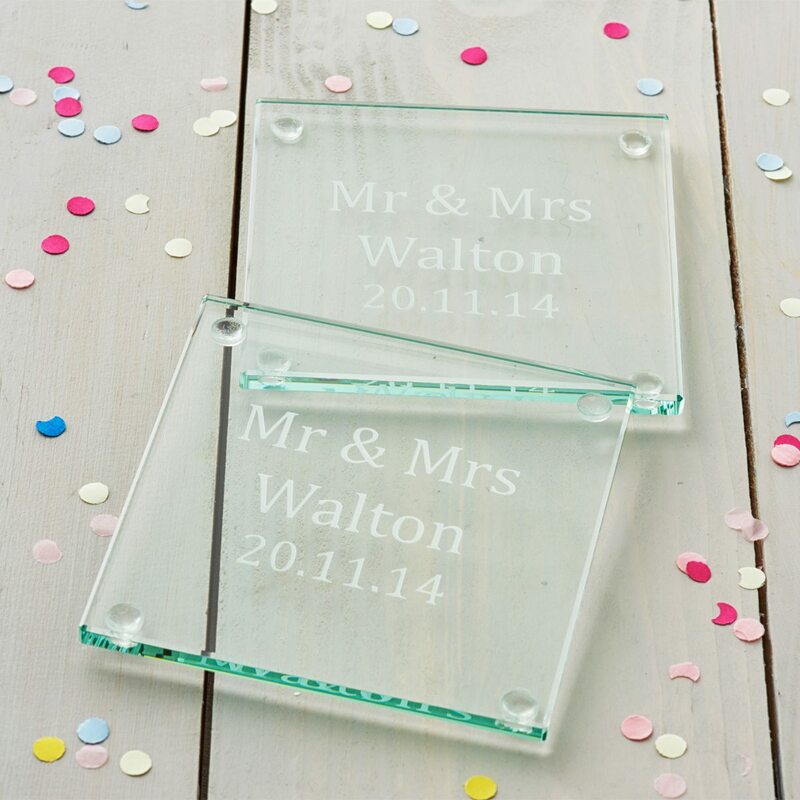 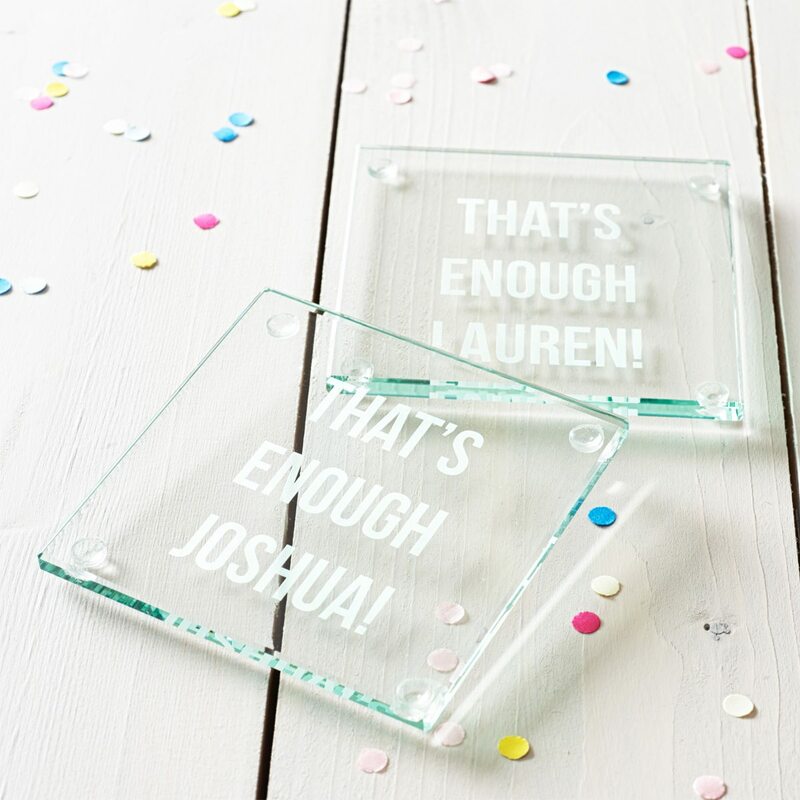 A set of two, personalised glass coasters for the newlyweds. 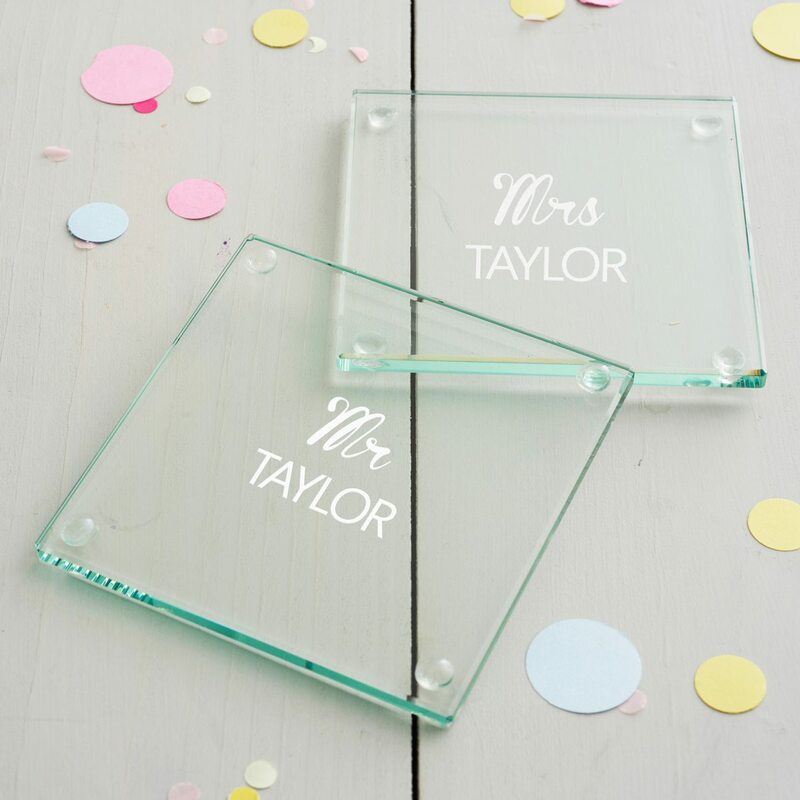 Remember your special day for years to come with this personalised wedding coaster set. 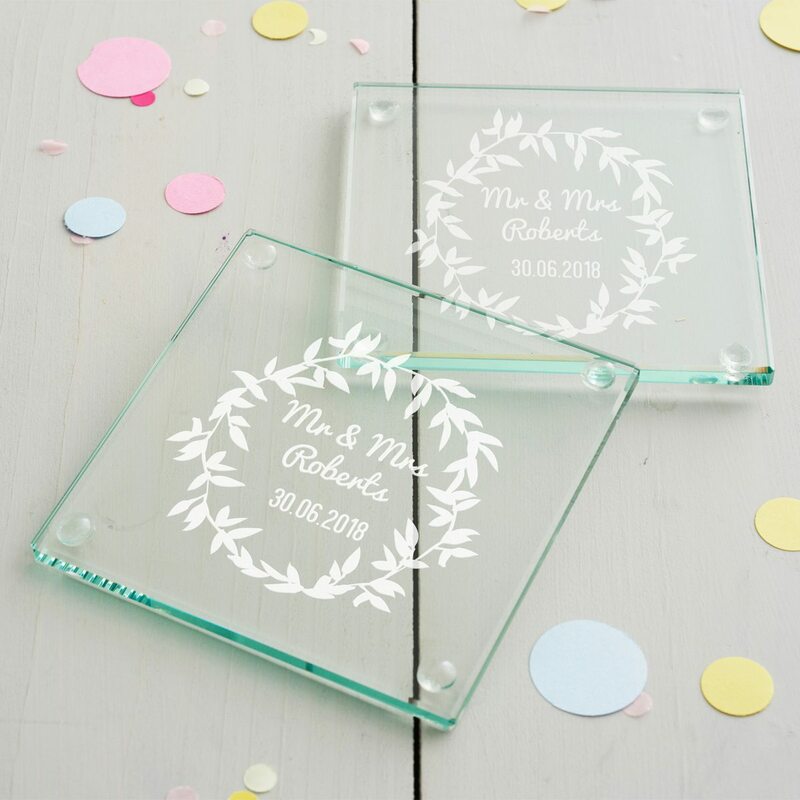 A beautifully etched pair of glass coasters, perfect for couples.